I haven’t posted in ages, I know, and I’m sorry. I’ve been working… just not on my blog. But I’m going to make it up to you by running this easy-to-enter giveaway! In this giveaway, one lucky winner will receive a custom mascot logo from my friends over at LogoNerds.com. While the title of this post states refers to a custom mascot logo the winner is actually able to choose from any of the 3 packages LogoNerds offers on their order page. However, since the custom character mascot design package has the most value, I definitely recommend grabbing that one. Branding is everything, and there is no better way to brand yourself than to get your very own custom mascot. You can browse through some of their character mascot logos on their portfolio to see the type of quality you can expect. 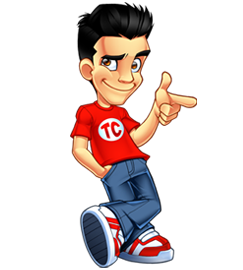 Tweet the message: @tylercruzdotcom I’m entering to win a custom mascot design from LogoNerds.com via TylerCruz.com! On August 24th, 2011 I will be using TweetAways to randomly draw 1 lucky winner who meets the above criteria. Make sure you both follow me and tweet the message above or you will not be eligible. Please note that I will be sending a private tweet (direct message) to the winner on Twitter, asking them to e-mail me with a code that I send in the private tweet. This is to confirm they own their Twitter account and so I can give them the details on how they can receive their prize. I must hear back from the winner within 2 days from when I send the private tweet or I will draw again for a replacement winner, so be sure to check your private messages on Twitter on the draw date. I have this rule in place because I am tired of winners not claiming their prizes. LogoNerds is, as their name suggests, a logo design company. What makes them different from most logo design companies and freelancers is that they are dirt cheap for the level of quality they provide. For example, for only $27 you can get a professional web logo complete with 3 different concepts, free revisions, and a turnaround time of 3-5 days! 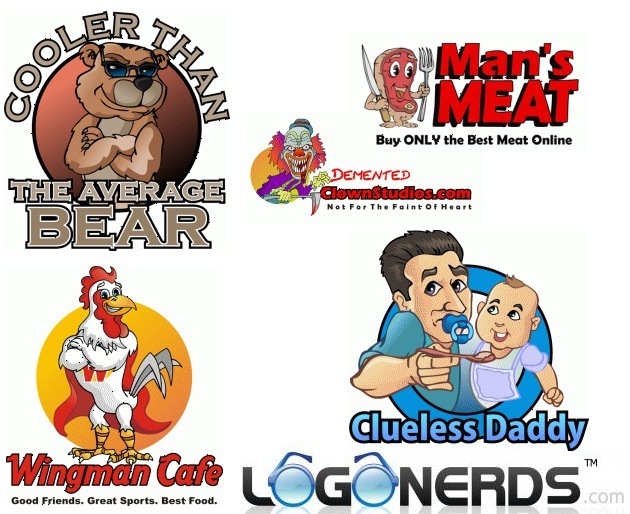 While LogoNerds specializes in designing logos such as web logos, business/traditional logos, and character mascot logos, they also offer other design services such as logo repair, template design, headers, banners, stationery, holiday-themed logo design, and favicon design. Be sure to check out the LogoNerds.com portfolio to see some of their work. Sweet simple way to get a custom logo thanks for making this contest happen Tyler! the best of luck to everyone who enters! Nice I have been wanting a custom Logo! I am starting to really update my personal blog so this would be a great addition with the new post series I have started. Good luck everyone! There are 5 entries so far. Entered. I could use a custom mascot for my new TabletopGamer.com site. thanks tyler, will try to enter the contest soon. Hi Tyler thank you very much for your giveaway. I think I’ll become a participant. Thanks for your offer. The logo it self look really nice. done! thanks for the chance to win!! LogoNerds has been making really fun and saying logos. I would love to have a maskot logo, thanks for giving us the chance! I am also in this giveaway !! I saw your blog post, and honestly I wasn’t going to bother entering because I thought I would be competing with hundreds, maybe thousands of others, until I got to the part where you said that you’d predict only 10 people would enter! I thought that was funny, and even though I’m sure *considerably* more than 10 people will enter, it made me change my mind and think “why not” and now I’m thinking a logo mascot WOULD be pretty cool. I hope I win, but if I don’t that’s okay, too. I am now following you, and I posted the “i’m entering to win” thingy, like you wanted, too. Actually, your odds are better, as there is a chance that the winner does not respond in time, and a redrawing must take place. Hey Tyler, I will give the contest a try if its not too late. I’m a big fan of the site and i like how much work you put into your posts. Really nice work with all the case studies as well as the Flippa video. BTW I am looking for a good domain brokerage firm and wondered if you could recommend some names. Looking to sell the domain http://www.yesnooracle.com. It would be my first flip. Thanx. Retweet it already.. hope I’ll win this give away. Up to 27 entries / “Retweets” so far. Not bad! That makes it 34 entries / tweets now. Up to 40 entries / tweets now! I’m in 🙂 Lucky I decided to check my rss feed. I just entered as well! Looking forward to the draw tomorrow! Would love to win a new mascot logo for my site. Always wanted one! Thanks for doing this great give away Tyler. Ended up with a total of 43 entries! That was a lot more than I was expecting! Yeah thats a great turn out. Got some good interest in this contest! 43 Entries, pretty cool! Good way to keep a decent auudience. These logos look awesome! Am I too late for the contest or giveaway? I’d love a mascot for my blog, is it too late to enter in the contest? Please update asap.